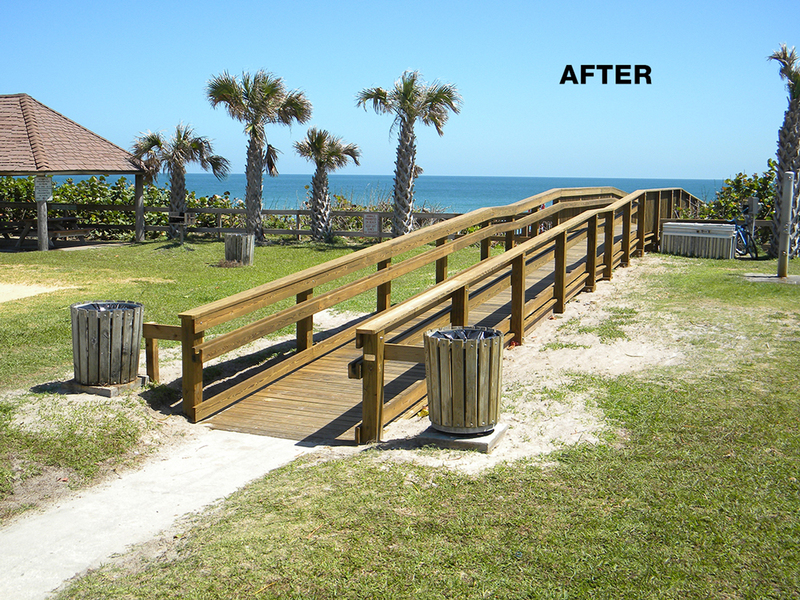 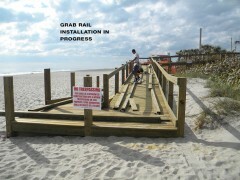 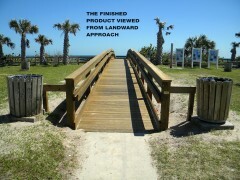 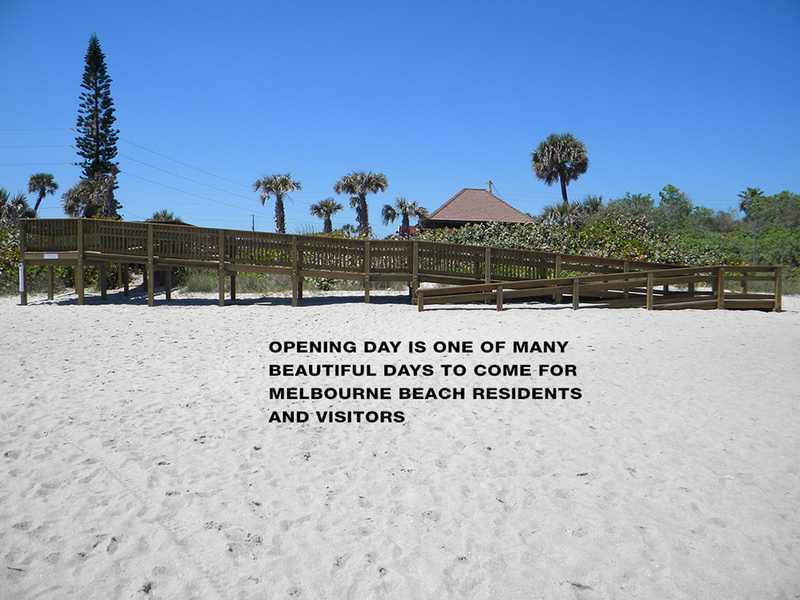 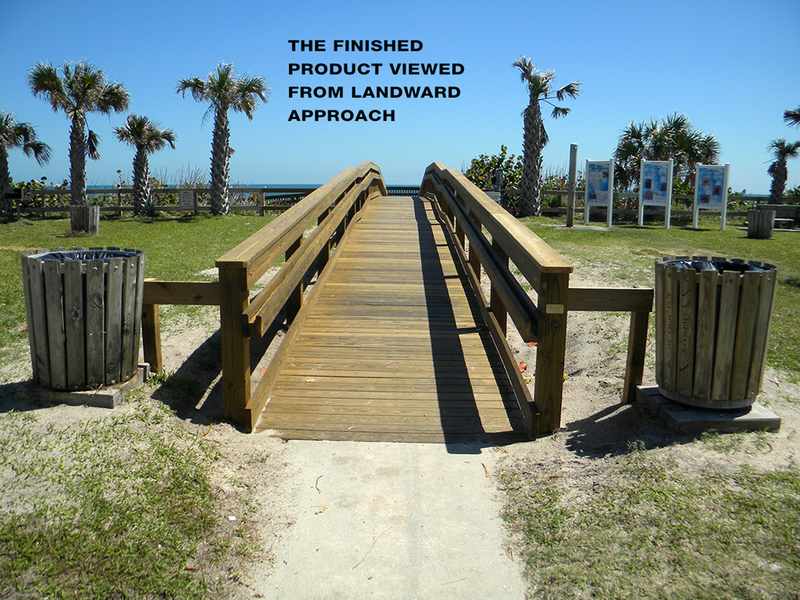 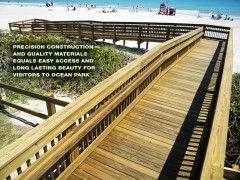 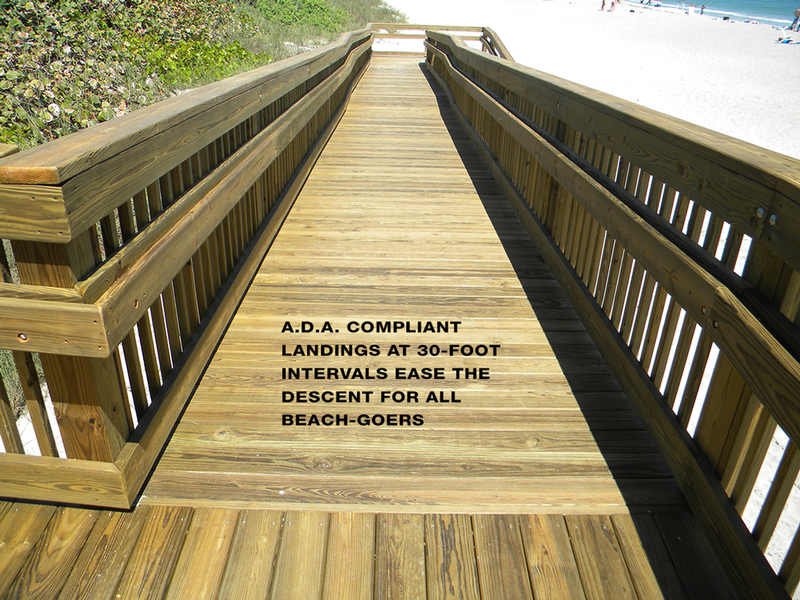 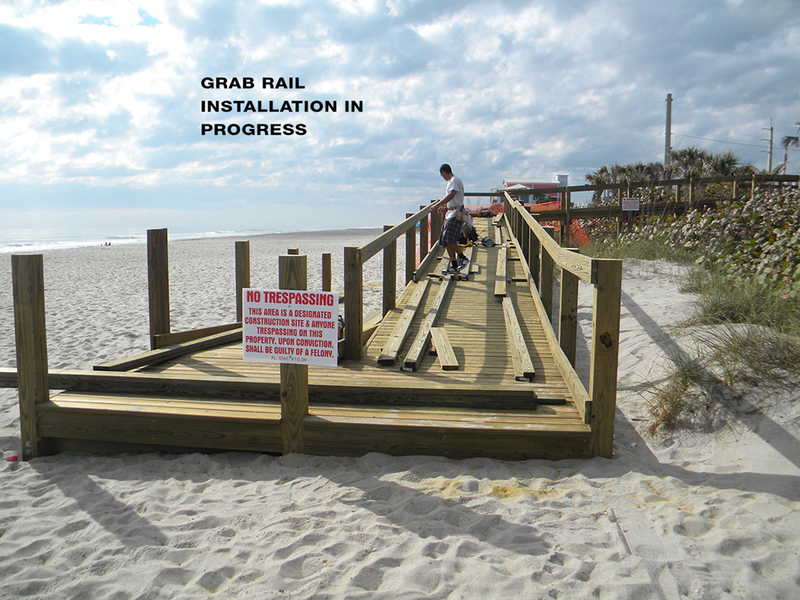 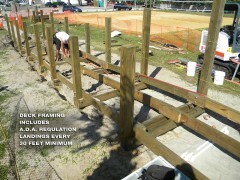 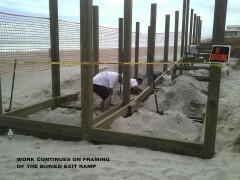 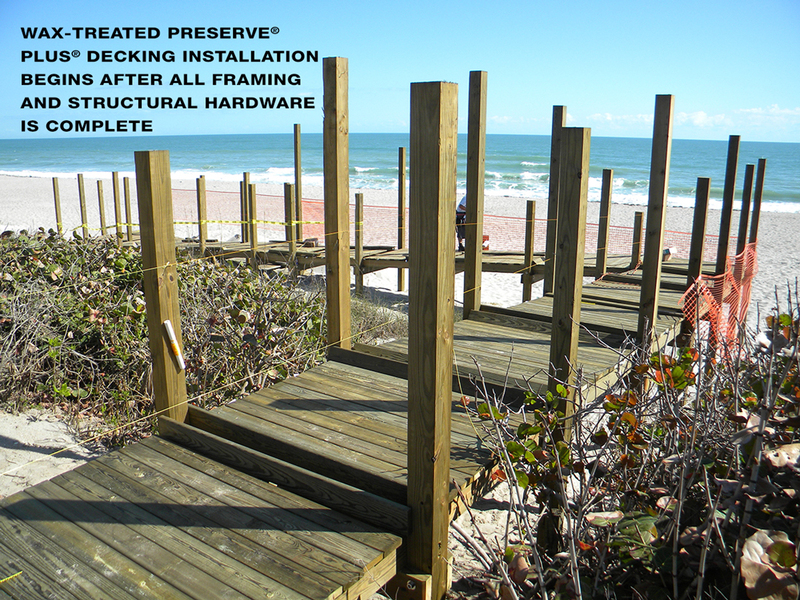 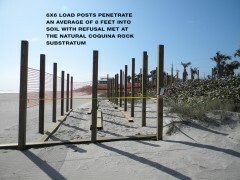 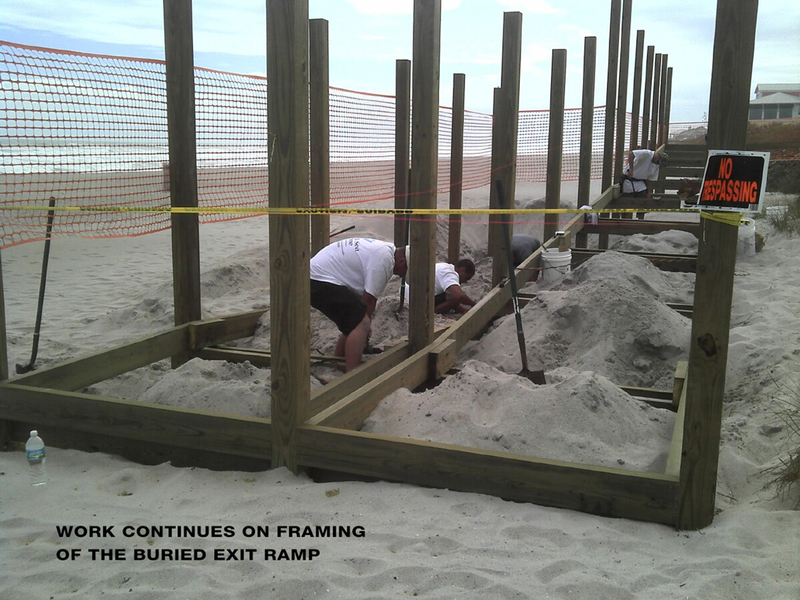 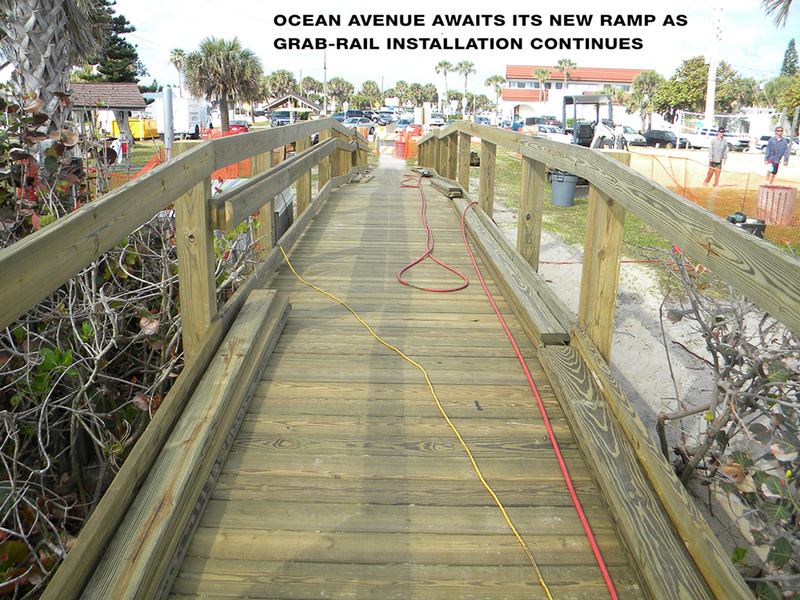 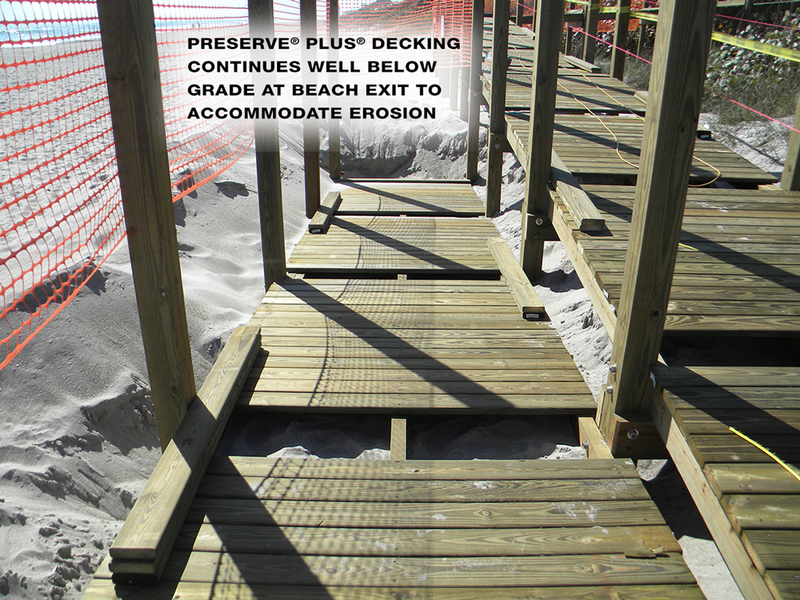 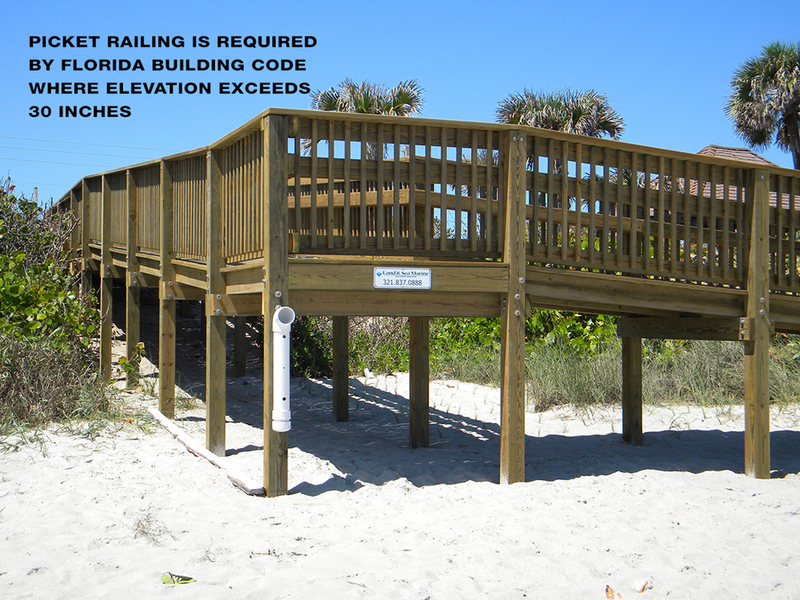 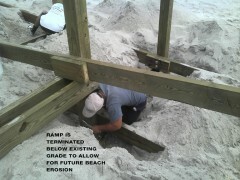 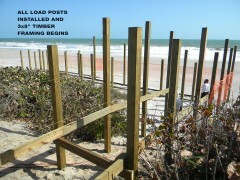 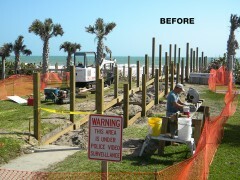 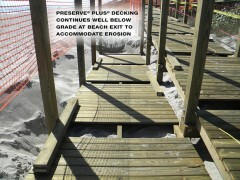 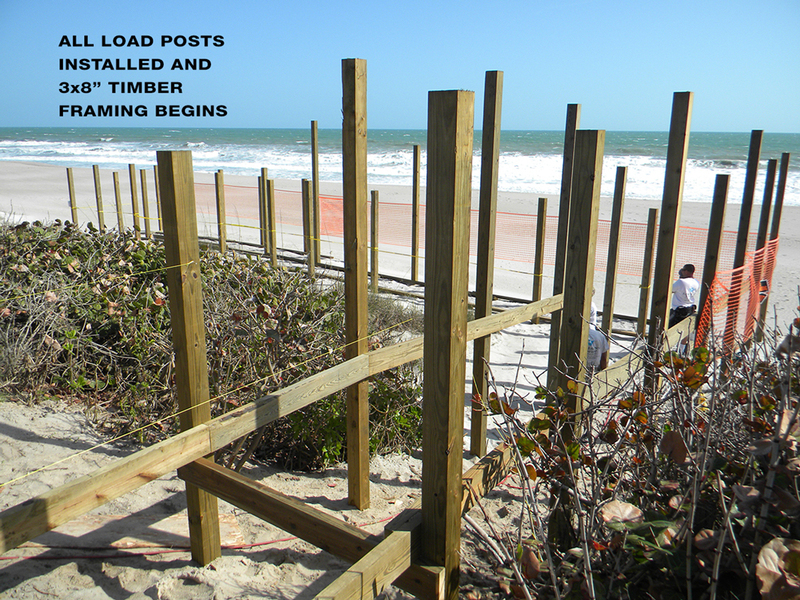 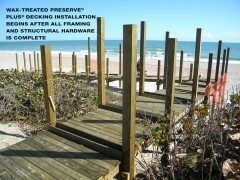 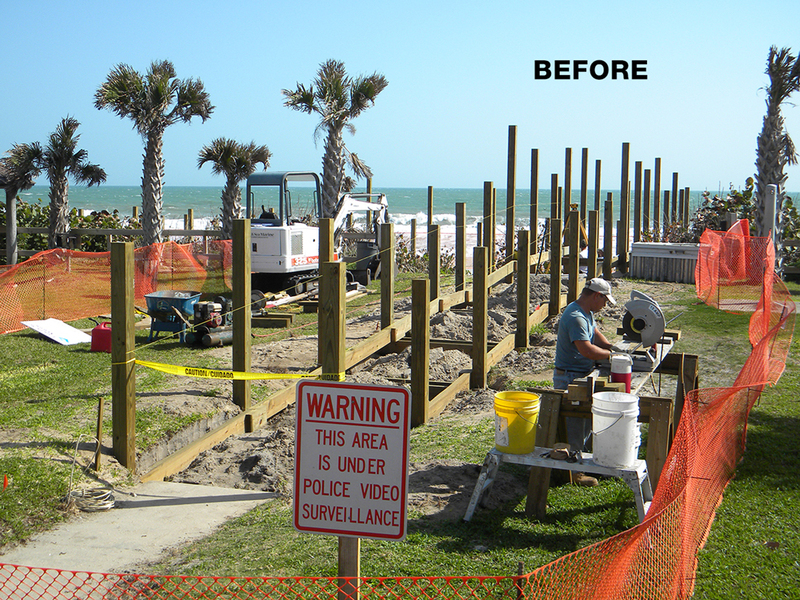 Melbourne Beach | Land and Sea Marine, Inc.
New Special Needs Dune Crossing in Melbourne Beach, FL. 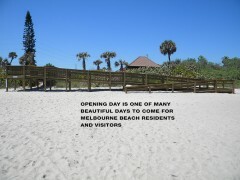 This new dune crossing was constructed for the Town of Melbourne Beach at the Ocean Park beach access point on the East end of the town’s main street, Ocean Avenue. Featuring modern decking materials and the best quality fasteners and lumber for durable beauty and long life, the crossing was built to comply with strict Americans with Disabilities Act requirements for special needs access. And it looks great, too! 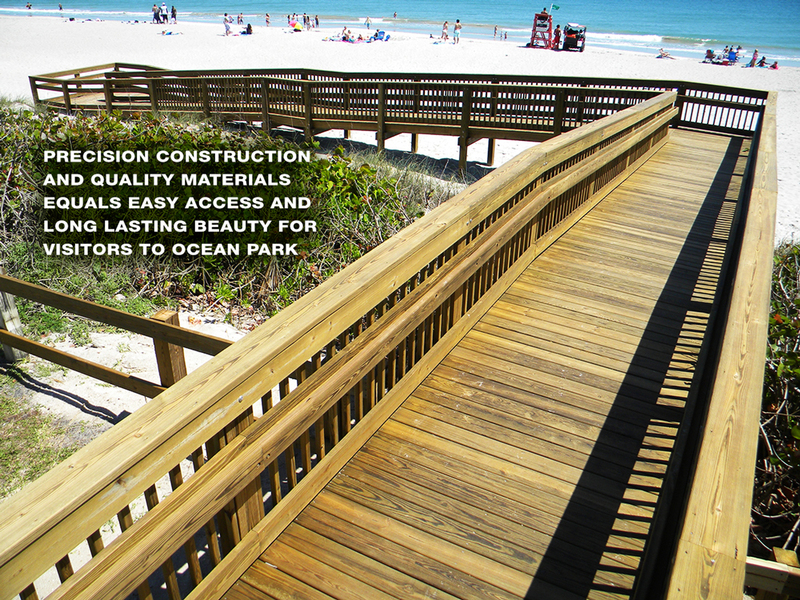 We feel fortunate and privileged to have been a part of the recent upgrades to Ocean Park, and really enjoyed working with the Town of Melbourne Beach and MK Structural Engineering to make this design a reality. 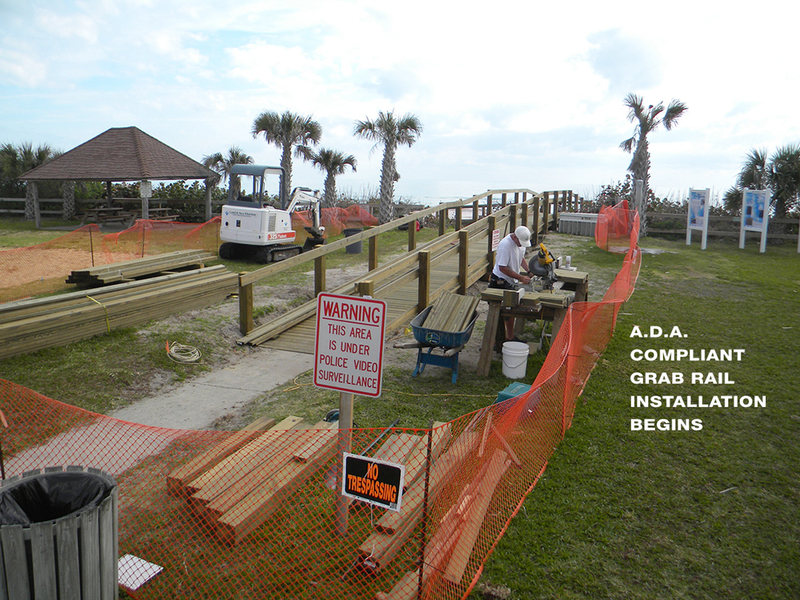 Click on the slides below for a slideshow overview of the installation process.